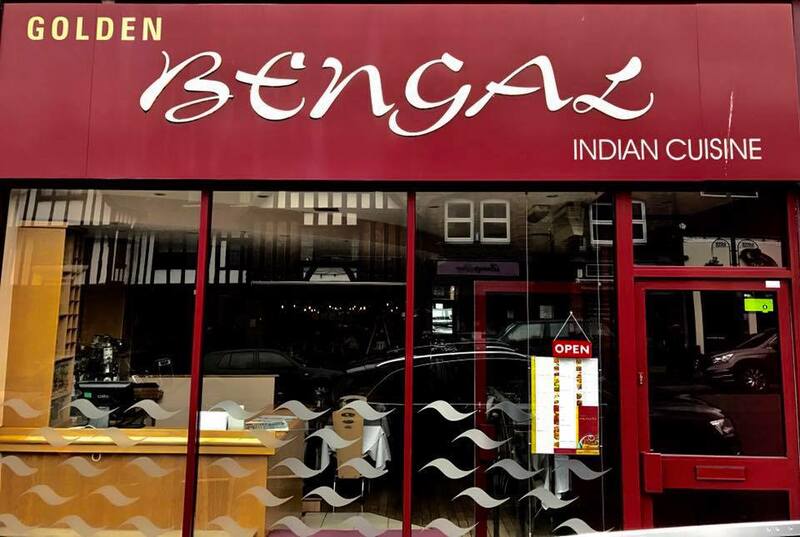 Situated in the heart of Oxted, Golden Bengal oxted offers mouth-watering Indian cuisine. 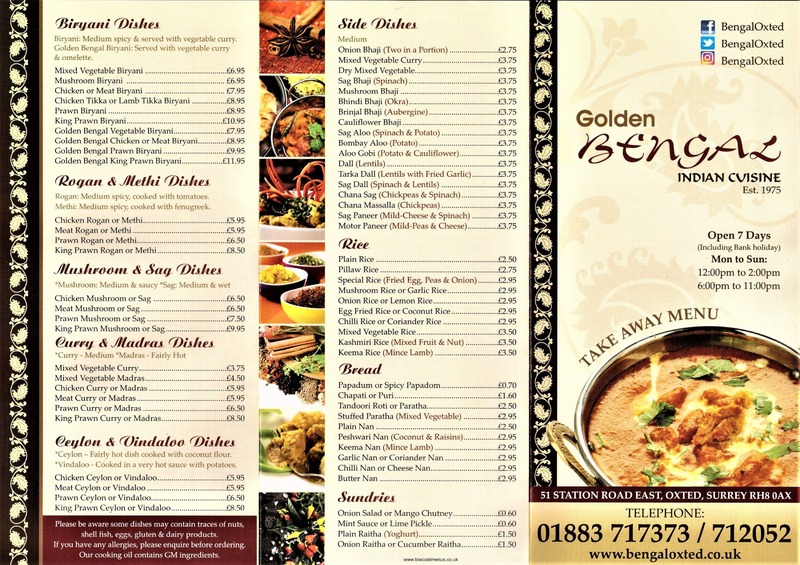 The Golden Bengal Oxted is renowned throughout the surrey area for its divine style and Presentation of traditional Indian cuisine, this is achieved by paying special attention to every fine detail and only using the very finest ingredients. 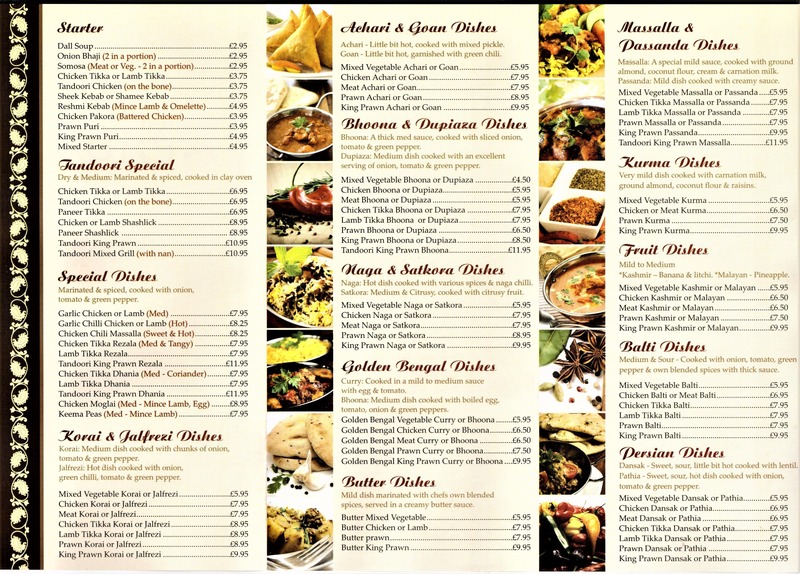 If you are looking for the most exquisite Indian food in the Oxted area, then take a look and order from our easy to use on screen menu at www.bengaloxted.co.uk/menu you will see that we offer something for every member of your family. Our on-line menu is fully downloadable. So download and keep it on your desktop for regular use! If your favorite meal is not on our takeaway menu. Just call our restaurant 01883 717373 / 01883 712052. Ask us our chef will happily try and prepare it especially for you. Please be sure to visit our website on a regular basis to see. Our latest menu updates and special offers, all available our menu page.